We are offering Automotive Piston to our clients. 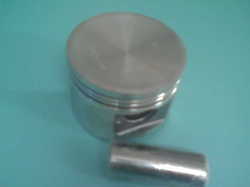 To furnish the wide requirements of the customers, we are offering a high quality range of Automobile Piston. We are offering Mild Steel Piston to our clients. 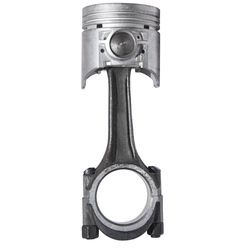 We are offering best quality Automobile Piston Spare Parts for Automobile Industry. Offered parts are precisely designed by the experts using best quality basic raw materials and advanced technology, at vendors’’ premises. These spare parts are known among the clients for their dimensional accuracy and easy installation. We Offer High Quality Of Diesel Feed Pumps & Parts (Pin, Piston, Spring Valve Filter. In order to keep pace with never ending demands of the customers, our company is instrumental in offering Copeland Piston. We offer Engine Pistons of all make like Ingersoll Rand, Kirloskar, Khosla, Elgi etc. For manufacturing these automotive pistons, we have used super grade aluminum alloy, which makes them last for a long period of time. Apart from this, we have paid meticulous attention for maintaining the accurate weight and dimensions of these pistons.